This entry was posted in Uncategorized and tagged cities, jobs, lou by Editor. Bookmark the permalink. I generally love where we live – Seattle – but we were fortunate to buy our house in 1996 when housing was far more affordable than it is now. I’m not sure if our kids will be able to afford to buy a house here. 1996 when housing was far more affordable than it is now. Median home price in Seattle in 1996 was $160k with 30 year fixed rate mortgage rates of 8.5%. Payment of $1230/month. Adjusted for inflation that’s $2007 per month. The median is now 440k. At 4.375% it’s $2177. Just something to keep in mind. As someone who actually lived through that era, it was not exactly living in an egalitarian utopia. There was huge change in the economy, as the old-line manufacturing companies were in a huge slide, and the newer tech-based economy was in its infancy. So I don’t see metro areas becoming more homogenized in 1980; I see a single point in time at which cities on the downslide (like Pittsburgh and Baltimore) happened to hit about the same level as cities on the upturn (like SF). I also think there were many, many other events that happened in that same timeframe that helped our current winner-take-all economy — not just the change in the merger rules, but the Reagan tax cuts, dismantling the unions, and historic deregulation. Fundamentally, the early 1980s began a shift away from the idea that the government should involve itself in some aspects of business and support those who can’t compete in the economy, and towards the more free-market capitalistic approach that persists today. The fundamental concept of capitalism is that winners win. So when you dismantle regulatory obligations that limit companies’ profits, lower taxes and thus allow them to keep more of those profits to reinvest, and decrease the employees’ power to negotiate for a larger share of those profits, the outcome seems rather self-evident to me. Note that I am not claiming that that outcome is bad (or good); that discussion is better left to the politics page. But it seems rather solipsistic to point the finger at the big bad tech companies for making decisions that hurt rural America based on your own pet theory — as if the whole huge economic shift in their favor were entirely of their own making, and they have chosen to use their power for evil instead of good — when their tremendous growth and success and massive economic power is the result of almost 40 years of changes to our system working exactly as they were designed to. Don’t like the result? Change the system that rewards that behavior. 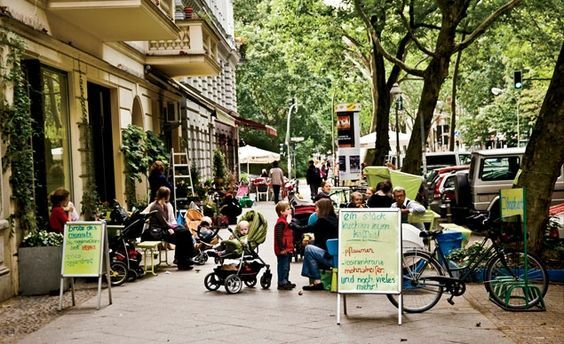 Our city is fine–large and diverse, with low COL. However, I enjoy our house and neighborhood even more. So that list is the metro areas ranked by the percentage of workers who use a computer? How is it that NYC is not on the list? Our economy is dominated by financial services, where everything is done via computer, the tech industry, and other office-y type businesses, where even the receptionists have computers. Maybe the large restaurant sector skews things? But even restaurants are highly digital these days. Hasn’t rural America been impoverished for a long time? Many of the New Deal programs were aimed at rural areas because those areas were so destitute at the time. I can remember driving through rural areas when I was a kid and being shocked at the poverty – the broken down trailers and tar paper shacks. My cousins lived in rural Arkansas and while they were relatively well off because their dad was a teacher, their neighbors were definitely not. Hasn’t rural America been impoverished for a long time? I was going to say the same thing. I think the issue is more one of change in relative status. Yeah, and remember all the pix of Kennedy and the Johnson traveling through rural areas and seeing all the wretched living conditions? “then Johnson”, not “the Johnson”. My H and I actually did an analysis of where we wanted to move back when we were young and decided on Austin, but then other opportunities came up and we left for the northeast. Most of us probably don’t think we have the flexibility to decide to pick and choose where to move, but totebaggers often do. It should definitely be a college consideration. 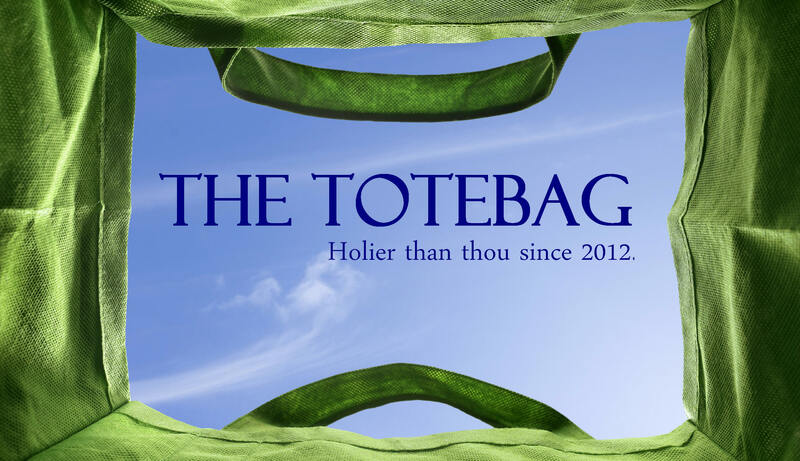 I think totebaggers tend to overweight rank and cost relative to the area’s job market. Say Michigan vs. San Jose State vs. Northeastern for example. what does this even mean? My employees use GPS enabled computers on each tractor, as does most every other farm. I’m not sure how many jobs there are that don’t use computers all the time. And yes, rural to urban migration has been a thing for centuries. As ag became more productive, there was much less demand for labor in the countryside, and the mills, factories, etc provided economic opportunities to many more people that could be provided on farms. For my kids, the where to go to college/live will be a consideration. One of the digital metro areas is in my state and also home to several good universities nearby. Some of the criteria my kids have mentioned as important fit the area. Some people I have talked to, think we want them close to home but that’s not the case. I just noticed that Trenton NJ is on the list. That is hilarious. Trenton is probably the most blighted city in NJ. The only reason there are so many workers on computers is because there is pretty much no economic activity there except for the state government. Agreed. But we should also take with a grain of salt our ability to predict what will be popular/unpopular in 20 years. A couple of decades ago, we chose Colorado Springs over Boston because at the time, CO seemed to be more of an up-and-coming tech hub, and Boston seemed to expensive to fuel a lot of future growth. And DH refused to even interview at the place he currently works, because they had nothing in his area and were going nowhere (in his opinion). Who knew?? Boston seemed to expensive to fuel a lot of future growth. Does being expensive help fuel growth? I get the sense that this doesn’t work like people think it should work. Should I open my office in Kansas City or NYC or SV. Oh, Kansas City! The cost of living is so low. But that’s not how the decision process works at all. @Rhett — exactly! I was cheap, and I made the cardinal error of assuming that everyone else thought the same way I did. Thought the same thing about SV, and look where that got us! We’d probably be retired already on real estate profits alone if DH had taken that job he was offered in San Jose c.1996. I was cheap, and I made the cardinal error of assuming that everyone else thought the same way I did. I wonder if it all comes down to there being no free lunch. Is something’s cheap it’s cheap for a reason. We’d probably be retired already on real estate profits alone if DH had taken that job he was offered in San Jose c.1996. The Amazon process for choosing HQ2 for the first time made public the factors companies consider. Previously, one just read about the decisions after the process was completed. By that rationale I was lucky to go to school in a VHCOL city and then move to what was at that time only a HCOL (NYC to BOS). The apartment rentals here seemed cheap after NYC. L – I still think the same thing. People in my city complain about high taxes… After living in NJ, the property taxes in my city seem like a pittance (and they are significantly lower for the same size lot/house). Yet.. many of the cities on that list are cities I could work in/near…. Why did Boston make the list and not NYC? Too HCOL? There are actually a lot of jobs, but most aren’t particularly desirable or well-paying. Day-care workers and kindergarten teachers. Housecleaners. Roofers and other construction trades. Landscapers. If you’re on your feet or working with your hands for most of the day, you are probably not using computers very much. It’s not surprising that most of the top “digital” cities are connected with universities. The list was based on some metric involving computer use. Maybe there are enough art, music, theater, fashion, publishing, advertising, marketing*, etc. jobs in NYC where computer use isn’t your entire work day. The question wasn’t do you use a computer at all in your job it was how much you use a computer. * a job where it’s more meetings and white boards not so much everyone in a cube typing away for example. Kindergarten teachers use computers a ton. At least ours did because she had to do all kinds of evaluations and crap. Except the median price in Seattle is actually 800k ish. I think that chart has already been adjusted down. My kids kindergarten teachers all had computers in their classrooms and used them extensively. This was back in the mid 00’s. Except the median price in Seattle is actually 800k ish. I think they used metro area where you are talking about the city proper. People who work in publishing use computers extensively. And computers have become very important in the arts as well. I think most illustration work is done digitally now, and architecture has been computer based since at least the 90’s. There are 35 homes in Seattle for under 450k, 350 for 450-1m. Almost 200 for 1-3m. I can only get the median price for the metro area for 1996. Not sure what the city proper median price in 1996 was. @ Rhett – did you go to Spain? Do we get a trip report? See, IME, it is the exact opposite. People, especially new grads, want to either stay where they are because of family/friends/familiarity, or they want to go somewhere “better”. (Better being in the eye of the beholder.) I moved for a job right out of college to a place randomly because I got a job – but I was in the minority. And if that first job had been somewhere less desirable, I would have kept looking. Another silly list – best states in which to raise a family. Main takeaway – the 10 best states are all in the north, and the 10 worst states are all in the south or southwest, except West Virginia, which is southernish. Si! I’ll pull it together soon. MA is annoyed to be second while MS is delighted not to be dead last. Lists like this assume that people want to live in a metro area, period. The big choice for my kids would be whether they want to live in a metro area (I’d recommend Denver or Minneapolis, for our family tastes) or whether they want to live in a smaller area. Twin1 has said he never wants to live in a big city and I said he might want to try it. Part of me wonders how my life would have been different if I’d picked the New Jersey offer instead of the Oregon offer (they were both better than all my Iowa interviews). Living in NJ, an hour outside of NYC, would have been very different from living here. And despite the much higher cost of living outside NYC, both jobs paid the same and had the same likely salary trajectory. We’ll see what my kids decide. I hope they decide to live at least a few months in a large city- I never did that, due to my coop locations, and wonder what it would be like. When I visit my Denver relatives, the day-to-day life doesn’t seem that different, just more traffic. I agree. IME, when people relocate it’s usually because they want to move to that place for whatever reason. I haven’t met very many people who relocated because that’s where the job happened to be. And most of those were transfers with the same company, not a brand new job. had the same likely salary trajectory. If you stayed at the same job? More dynamic places offer more opportunity to build skills and income by moving between employers. OK, this is off topic, but these delivery robo-dogs are just too cute. I want all my Amazon packages delivered this way. MM – Ah, RI is #1 in affordability solely because it has paid family leave and that’s counted double. I’m not sure housing is all that affordable based on median income. And RI does so well on health because we have 1 dedicated children’s hospital to a small state population. In defense, I do find it a nice place to raise my young family, but I would probably choose better schools hands down. When I visit my Denver relatives, the day-to-day life doesn’t seem that different, just more traffic. Denver is nowhere near being a “big city”. It’s a big suburb. Aside from a couple of neighborhoods, it doesn’t have the density to be what I consider to be a city. You mentioned that your husband goes to Germany every so often. It would be fun if they ended up offering him a job there. End up in Munich or Berlin or something. I’d be so interested to hear your impressions. The NJ job would have required me to move around to chemical plants in different states if I wanted to move up in the company, and the skills I would develop in polymer chemistry would be only slightly broader than the skills I have now. I suspect the job I have now is in the top 20% of “engineering jobs that let me consistently do childcare dropoff/pickup” for over a decade. the skills I would develop in polymer chemistry would be only slightly broader than the skills I have now. Would you be able to move to pharmaceutical chemistry? NJ is home to 14 of the 20 largest pharmaceutical companies. Rhett, maybe, but the pharmaceutical industry is even worse than the one I’m in for frequent mass layoffs. My friends in R&D there have backup plans to become physician’s assistants. Rhett, maybe, but the pharmaceutical industry is even worse than the one I’m in for frequent mass layoffs. A data point in support of my theory that HCOL areas select for positive outlook bias. Rhett, I like LfB’s theory, that certain careers select for geographic flexibility. I might be geographically flexible, but DH definitely isn’t. Being a physician assistant is no one’s back up job. The programs are all highly competitive to get into, most require extensive clinical experience, and it is two years without pay, while accruing significant debt. That’s like me saying that being a plumber is my back up job. For reasons that are not entirely clear to me, there is no ‘S in physician assistant. People get quite worked up about this. I was in Denver two years ago, and that was my first trip to metro Denver in about 8 years. I used to go there to see clients at least one a year. All of my clients were in different burbs, and none were located downtown. I think Denver is large, but it is very spread out because of the relocation of the airport AND the popularity of places like Boulder. It is sort of equivalent to saying that NYC is just Manhattan. If you like all five boroughs – the city is huge in terms of miles and population. I found the traffic in metro Denver to be a pain, but I find that in almost every “popular” area. The same is true in Austin, and parts of Florida. The roads and planning just weren’t built for the type of sprawl and number of cars. I love visiting places like Austin, but the infrastructure and public transit just isn’t there to accommodate the rapid growth. It also isn’t so cheap to live in some of these popular areas, and some of the salaries don’t match the increase int he cost of living. I’m gonna go back to harp on the Seattle figures. The area of the counties that en compass Seattle, Bellevue and Tacoma is roughly 4000 mi.². Well some of King County is not part of the Seattle metro area, we are still talking about an area that is at least 45 miles long and varies between 5 to 25 miles wide. That is an area larger than Rhode Island and Delaware combined. I talking about the median home price in the 4000 square mile area (or even just 800 sq miles) does not have much to do with whether one can affordably live in Seattle. I think this is true of all places, though. And one of the flaws of these broad-brush studies. Even MM’s ridiculous link… RI is on no one’s top list of places to live, and to get into the prime regions, you have to either (a) have a high paying job or (b) willing to sacrifice in size/amenities. Geography and infrastructure comes into play as well. As opposed to the suburbs? Is your theory that living in the city proper has become far more expensive relative to the suburbs? And… if the metro area price/payment hasn’t moved very much but the city has become a lot more expensive then by definition prices in the suburbs have fallen. Right? I did that when I graduated from college, as did many other grads. I think DS took this into account, and that’s one reason he didn’t want to go to some college town far from any urban area. The U.S. has grown from 140 million people after WW II to 327 million people now with a population that will continue to increase due to immigration by 2050. Europe has gone from ~500 million people after WW II to 743 million now and will decrease to 715 million by 2050. This affected how infrastructure grew and how much countries can invest per capita in additional infrastructure, vs. maintenance and repair. Flourishing city centers (probably not Detroit or Cleveland, and arguably not Baltimore) are much more expensive in the US than they used to be, primarily for demographic reasons. Me too. We went where the jobs were. Right. I just read that somewhere, that the divide is maybe more “mobile/immobile”. The employer who hired me out of college paid to relocate me. I remember the movers coming to pick up my stuff, which, other than a bicycle, would’ve all fit into a Toyota station wagon. Their relocation package didn’t include shipping cars, but they offered to pay mileage for me to drive it. That Brookline house is really bizarre. No wonder it’s been on the market for over two years. We definitely were looking to move out of a metro area with a HCOL and for us a better commute. We did a very informal survey of where we wanted to live. Austin, Denver and our current city made the cut. DH started looking for jobs in desired cities, he was offered one in current city with a full relocation package, which was extremely generous. When we moved here, the city proper was quite small. A few new buildings had been built and one light rail line had just opened. There was significant slowdown during the recession but in the past five years the pace of expansion has been frentic. Tons of apartments and townhomes have been built, another light rail line has opened, the airport and highways are being expanded. The hospital system greatly expanded. The next item should be to enhance the reputation of the city university campus. It is has now the benefit of being connected to the downtown by light rail. LfB, you’re reminding me of DS discovering some data tool that he was using to explore CoL & housing prices around the country. After a couple days of looking, he was dead certain he wanted to move to some spot in Oklahoma, near Arkansas. I think he was a little irked we weren’t packing yet. Then he discovered the data for pay, and started looking at what there is to do around there. Absolutely agree on willingness/ability to move being a huge factor. If everyone had young Finn’s top college degree and non-responsibility for elderly family members, the map would look a whole lot different! Come to think of it, even getting the degree was predicated on being able to move far from home. Rocky, then Johnson pulled out the Johnson a lot. But yeah, a lot of the places Bobby K was photographed in Mississippi and Appalachia have not changed in the last half century. It is also a mindset thing, as well as an ability to move thing. I always moved to where the jobs were. My sisters did not. I’ve mentioned that to each of them in separate conversations in recent years. It boggles their minds. My little sister claims to have thought I just up and moved to Southern Georgia and the Tx Panhandle because I thought it’d be fun, while my older talks about the adjustment of moving back home–from a city an hour away! She has level angry accusation at me for having moved away. Of course, our parents did the very same thing. A whole new meaning to Johnson & Johnson. So that’s how the baby oil got it’s name! Pretty slick, Slick. WCE, good point about 2-earner households (unless one is entirely WFH). I have a few friends who have moved back and forth between the U.S. and the home country. The moves were not strictly job related. Some moved for family reasons, some because they wanted their kids to grow up in the home country. All had tech/consulting jobs and all that I knew of had one kid. If you’ve seen it, what did you think of Bird Box? I’m still a little disturbed by it all. Below is an individual income percentile by city calculator and a household income percentile by city calculator for 2018 in the United States. Enter a pre-tax household or individual income earned between January and December 2017 to compare with any metro area in the United States.. I found the data to be sparse in some places, but it also links to other data. Congrats to Louise, for coming up with a topic that people are still talking about the next day! Milo – I heard the buzz about Bird Box but upon review of the storyline, I determined that I wasn’t interested in that genre. I would rather watch A Star is Born, Bohemian Rhapsody, Green Book which will be on steaming services soon. I’ve always thought that moving for career was the right thing to do. However, when I started my family, I really regretted not being closer to my family. There are so many emotional and logistical benefits to having family close by that I didn’t realize until I was well settled in another city. DH watched it and I was in and out of the room. We thought it was interesting at first and a stupid ending. I don’t really see the huge appeal, other than Sandra Bullock. I think moving early on and once or twice during a career was probably something to prepare for. What I would not like is frequent moves, say every 2-3 years, like in the military or as used to be common in some corporations. It’s become a less common expectation in corporations as dual career families have become more common. Same here. July’s point is well taken, that those who live in a thriving metro area don’t actually have to relocate in order to improve their circumstances. And even when there aren’t good jobs in the area, as was the case in PIttsburgh during the 1970s and 1980s, a sizable chunk of the population remained in place for all of the usual reasons of family and inertia. This varies by profession/occupation. In my field, jobs tend to be concentrated in certain geographic areas, e.g., SV, which attracts people from all over the world, many from urban areas which did not have many job opportunities.